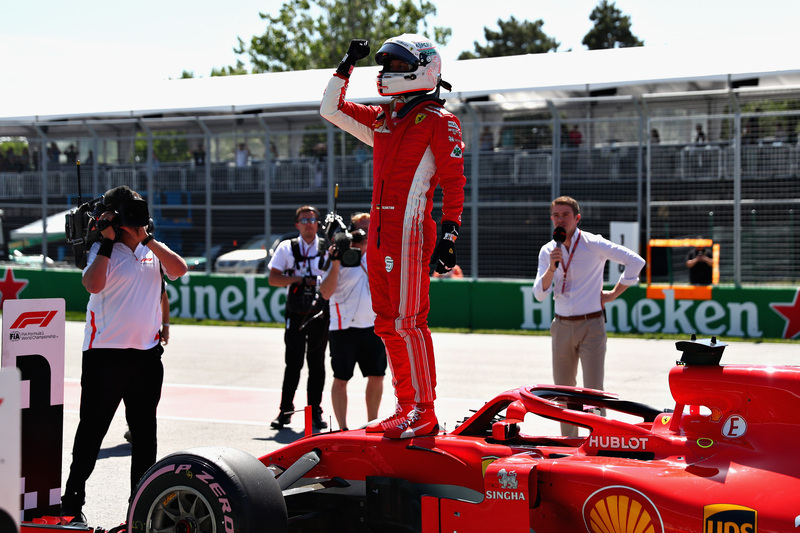 Sebastian Vettel saved the best for last in qualifying for the Canadian Grand Prix, marginally improving on his earlier Q3-time with a 1:10.764 as he took the flag. His ultimate effort was still far from a sure thing, however, with Mercedes' Valtteri Bottas and Red Bull's Max Verstappen—who had gone quickest in all three practice sessions—on flying laps behind him. Although Bottas failed to improve, Verstappen did. His ultimate 1:10.937 wasn't enough to overtake Vettel or Bottas, but did demote Vettel's championship rival Lewis Hamilton to fourth on the grid. Vettel, for his part, could breathe easy knowing he'd beat Bottas by 0.093 of a second, and Verstappen by 0.173. 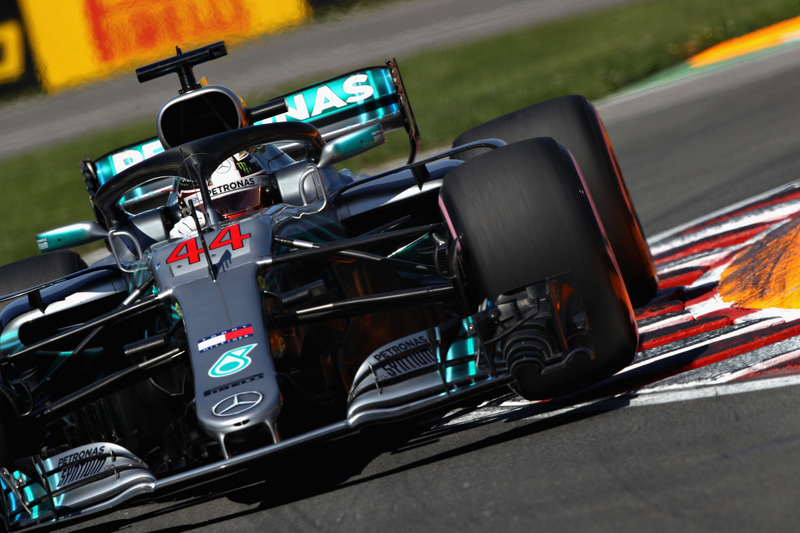 Hamilton, meanwhile, had dropped out of pole contention a few moments prior, when he locked up at the hairpin and subsequently failed to set a time quick enough to unsettle Vettel at the top of the table. Behind the top four, Kimi Räikkönen came in fifth after aborting his final run following a mistake in Turn 2, while Monaco Grand Prix-winner Daniel Ricciardo claimed sixth. As expected, Formula 1's big three teams divided the top six positions, with the stage set for a close race between Ferrari, Mercedes, and Red Bull. Ahead of Sunday's 70-lap race, the first strategic moves have already been made with the Mercedes and Ferrari drivers set to start on the ultrasoft tires, whereas the Red Bulls will take Pirelli's hypersofts. The hypersofts are quicker but less durable than the ultrasoft compound, which points to some strategic variety being a real possibility for Sunday. Outside of the top six, Renault and Force India split the remaining top ten positions, with Kevin Magnussen qualifying eleventh for the American Haas F1 Team. His stablemate Romain Grosjean ended up twentieth and last as he failed to set a time after not making it on track. His Haas VF-18 left behind a huge cloud of smoke and the Frenchman was ordered to park it in pitlane. There was disappointment for the McLaren team as well, with Fernando Alonso and Stoffel Vandoorne ending up in fourteenth and fifteenth. Local hero Lance Stroll finished qualifying in P17, as the Williams team continues to struggle. 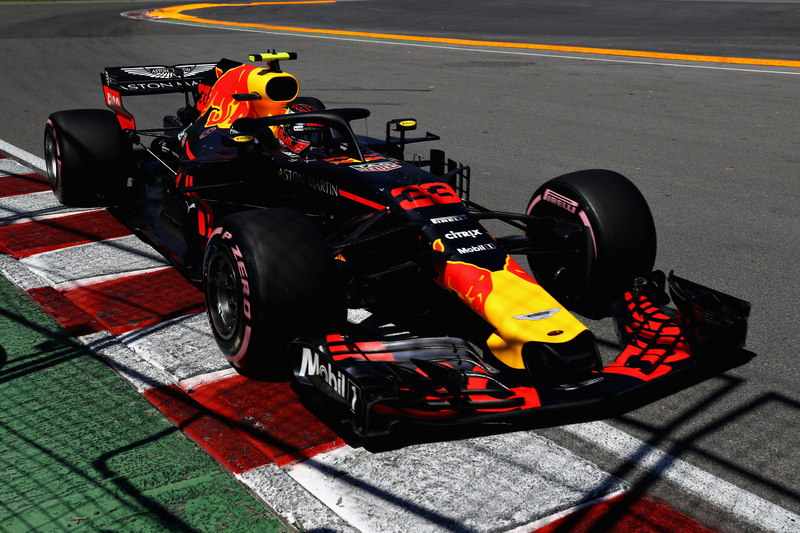 Update: Sunday, June 10 @ 9:45 a.m.— Scuderia Toro Rosso's Pierre Gasly will receive a new Honda power unit for Sunday's Grand Prix, forcing the French driver to take a ten-place grid penalty. As a result, he will start from the back of the field, accompanying Haas F1's Romain Grosjean on the last row for Sunday's race start. One-tenth of a second separated the top four finishers in FP3. There are no fingernails left in the Red Bull Racing garage—all were chewed off when the race leader lost engine power. In the interest of overtaking, an additional DRS zone will be implemented at the Montreal track.